It's good to see you here. Everything's climaxing in two weeks time! What is climaxing and what is everything you ask? The biggest update to Planet Nomads since adding survival in alpha back in March. Let's go through the main changes one by one. Due to performance issues we must temporarily say farewell to caves. In return, you will get massively faster terrain generation, smooth vehicle riding and smoother game performance in general. After seeing a LOT of the green starting biomes in all the screenshots and videos we felt like it was time to add more variety. When wandering the planet, your sensors will occasionally pick a black-box signal from crashed vessels. What are these? You'll see in the game on 17th August. That's right. New types of environment dangers are coming with the intent take your life away in various ways. 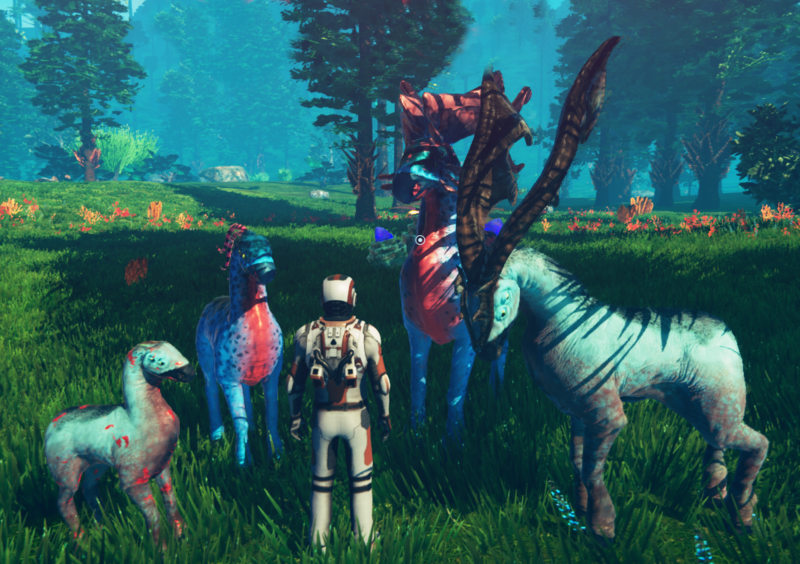 Simply saying that we've added different types of behavior, more attacks and various particle effects simply doesn't do justice to the majesty of these new animals. It's best experienced yourself. It is still necessary to do it, because the planets will be all different. And while the upcoming crash-sites feature is closely connected to blueprints and could be utilized to save your current constructions, in the end we decided against it. We wouldn't be able to guarantee it worked in every scenario and for everyone, potentially causing more damage than good. So instead we're going to spend the time elsewhere and do a trade-in for more long-term benefits. That said, we will be able to salvage the materials, components and items from your old saves and send them in container to the new planet with you if you decide to continue from your old saves. It will be worth it, Nomads, we promise.